Emmy-nominated TV Host,best-selling author, and America’s top Lifestyle ExpertMar Jennings Headlines this year’s seminar line-up. Emmy-nominated TV Host, best-selling author, and America’s top Lifestyle Expert Mar Jennings is a master at creating a casual luxury lifestyle made simple and sMARt – and making it quickly understood and easy-to-apply with his trademark sMARt tips and techniques. Mar’s inventive and original blueprint for design infuses Mother Nature’s colors and textures throughout the home and garden. As one of the top lifestyle experts, Mar has been featured on HGTV, the Today Show, QVC and in the New York Times. He is the author of the best sellingLife on Mar’s: A Four Season Garden, a nationally acclaimed gardening book, and his newest design bookLIFE ON MAR’S, Creating Casual Luxury, both sold world wide. 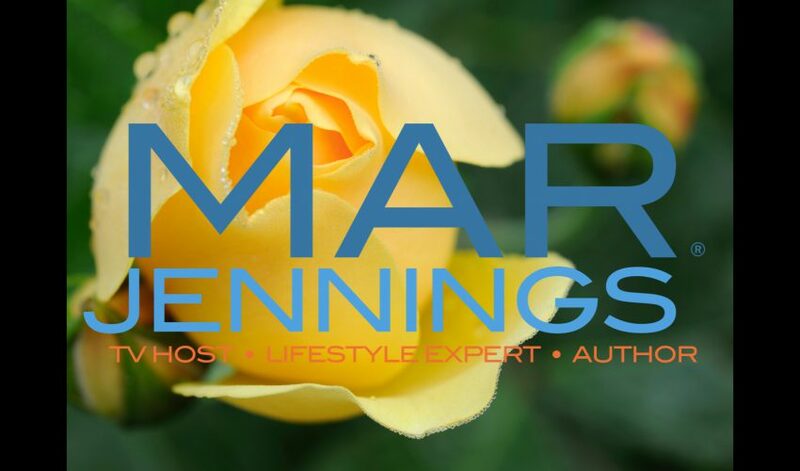 Mar Jennings is a master at creatinghome and garden design stylethat is desirable and achievable while instantly connecting with his audience. Jennings’ signature style is called “Casual Luxury," and his second book details, for the first time, how it can be broken down into six design principles that anyone can apply. Jennings invites us all inside his Westport, Connecticut, home to illustrate how he applies his sixCasual Luxurydesign principles to create his signature – and envied – style. “These principles really are the cure for all design dilemmas," he promises. Years of happy clients, testimonials, phone research – and over a year of social media outreach – has convinced him he can help anyone with any space. In fact, he even reveals his coveted room makeover worksheet for readers to follow along in their own homes. This deluxe oversized coffee table book is filled with photographic essays – beautifully shot by renowned photographer Stacy Bass – highlighting his philosophy, plus practical applications and resourcefulness applicable for any home or space. Like an entire season of a great design show,LIFE ON MAR’S, Creating Casual Luxuryallows readers access to an encyclopedia of great ideas to apply in their home. This lifestyle expert does it with simplicity and style, balancing natural solutions with everyday elegance. Jennings has appeared on the HGTV’s series White Room Challenge and was recently selected to return to the network for Flea Market Flip. He is an on-going contributor to ABC’s WTNH & NBC CT. Jennings is also a correspondent and home and garden expert for the Better show, a nationally syndicated lifestyle program. He has served double-duty as host and producer of the Emmy-nominated lifestyle show Northeast Living on FoxCT/CT1 but you might also know him as host of Dream Room Makeover, Dream Wedding and Backyard Makeover. He has hosted and produced the annual Holiday Wishes series. Over the years he has made multiple appearances on the Today Show, Food Network, ABC, CBS, CNN NBC CT. Jennings and his home and garden designs and tips have been profiled and featured in Better Homes & Garden’s Decorating Magazine, Home Magazine, Quick & Simple Magazine, Small Gardens Magazine, New York Times, and Huffington Post, among other national and local publications for both television and print.